There has been a huge debate over the NFL MVP this season. You have the enigmatic Cam Newton, Carson Palmer on the still underrated Cardinals, the turnaround of Andy Dalton, and of course who many still believe to be the consensus MVP Tom Brady. We’re going to breakdown every candidate’s case this year and I will give my opinion at the end of it. Cam Newton has taken a step forward this year and it is to be noted most definitely. This year the Carolina Panthers are 10-0, and look like they are ready for a deep playoff run this coming postseason. Cam Newton is the face of the franchise and is making waves throughout NFL fans and social media, but let’s take a step back and look at this from the outside and wipe away the hype and media driven biases. Cam Newton these past 3 weeks has made a huge leap in the debate as he did own those games, and against New Orleans shined but otherwise has been average at best. Against Indiana, Philadelphia, and Houston in particular were bad games that would be criticized harshly if the team was not able to pull out the win. Many see the 10-0 record but do not look at the individual enough. Cam Newton has had 4 games that he played outstanding in, 3 games that he was horrible in, and 3 games he was average at best. Many Cam supporters will point to his WRs being below par and that is without a doubt something that should be noted. There are not many teams who will win with Ted Ginn as their 2nd option, but the team has gotten through without a single scratch. How is that? What exactly is the reason for the team’s success? This season Carolina is 2nd in the league in yards allowed per play, 6th in total yards, and tied for 5th in points allowed per game allowing only 19.1 per game. The defense has not allowed a score off a single Cam Newton turnover. They have arguably the defensive player of the year on their defense Josh Norman and Luke Keuchley who by most is considered the best inside linebacker in the league. Where does Cam rank amongst his competition? 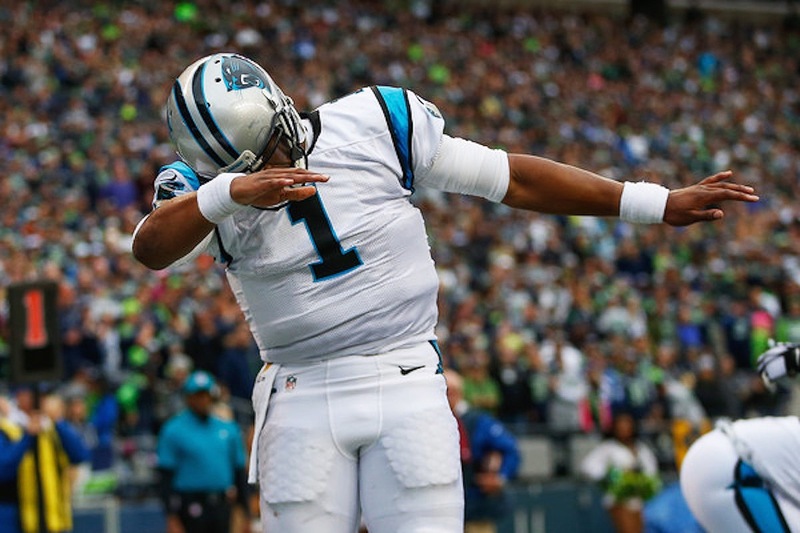 Cam is 26th in passing yards per game, Tied for 6th in passing TDs, 17th in passer rating, and 28th in completion. Many will call foul on the completion percentage and point to his receiver core and say it is all on them because of how much they drop the ball, yet Carolina is 7th in dropped passes and 5 of the 6 QBs for the teams with more dropped passes have higher completion percentages than Cam. Cam has been a leader on and off the field for his team and I commend him for his maturation into a true leader worthy of being the face of a franchise. Brady is having a historic season that seems eerily similar to his 07 historic season and has many talking about the possibility of the Patriots making another run at the undefeated season. Many were worried about the departure of many key pieces in the secondary effecting this team’s chances, but Brady has not only pulled them through but has thoroughly dominated the competition. Many have claimed that this is his race to lose but let’s look at things a little deeper. So far this year Brady has had tremendous games all year long having 8 terrific games and 2 average ones. He has not missed a beat all year long never even having a 1:1 TD:INT ratio in a single game. His team is putting up the most points per game in the league and he seems to be on a mission after the deflategate debacle that went on all off-season long. 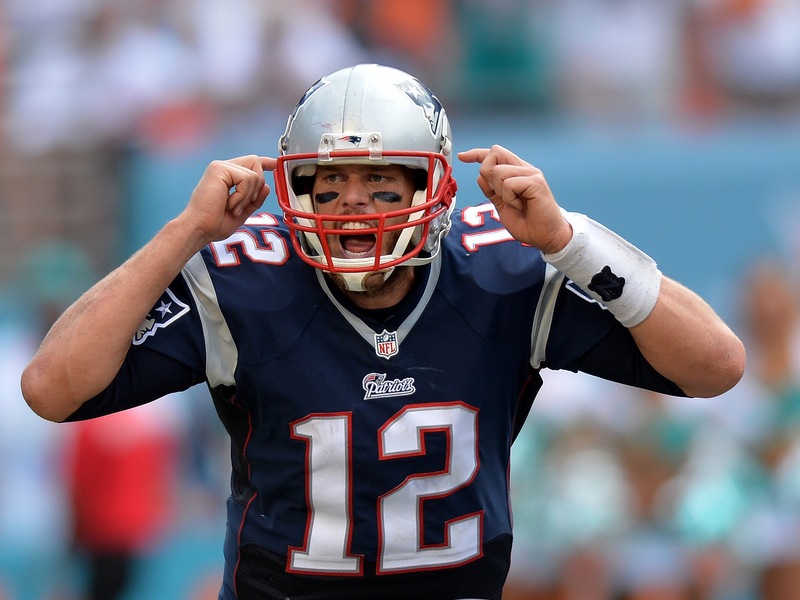 Brady this year ranks 1st in yards per game, 2nd in passing TDs, 1st in passer rating, and 5th in completion percentage. Tom Brady this year has 24 touchdowns to only 3 interceptions, being extremely efficient and having this offense firing on all cylinders. I did not even mention that one of the teams that had more drops than the Panthers was in fact the Patriots who of course have powered through that and Brady still has completed 68% of his throws. Andy Dalton has completetly floored many of us playing at an elite level worthy of being called a top 5 quarterback in the NFL. It definetly is not where most of us saw him going at the beginning of the season. He has gotten a bad reputation for shrinking in the big moments, and while that may continue to be the case, the MVP is a regular season award that Andy Dalton has firmly put himself into the race for. 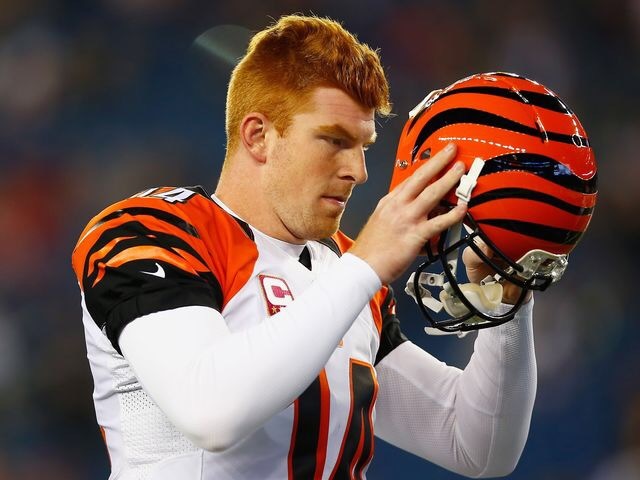 Andy Dalton looking at his games one by one you get a better look at how his overall season has gone. He has had 2 horrific games and has 1 average game and 7 terrific games that have been worthy of MVP canadicay. He got away with a bad game in Pittsburgh that became a defensive game and just got stomped by a less than stellar Houston team. Andy Dalton this year is ranked 8th in yards per game, 4th in passer rating, 6th in passing touchdowns, and 10th in completion percentage. While things can change it looks like Dalton will not reach double digits in interceptions and since coming into the league he has always had at least 13 a year, getting as high as 20 one year. Dalton has put up the tremendous individual performances and has his team high in the standings sitting with an 8-2 record which can be deemed worthy of being an MVP candiate. Long term it is hard for me to believe in the Bengals success and that has more to do with Marvin Lewis than anything else, because from what we have seen this year leads me to believe Dalton will be in the conversation for top 5 quarterback in the league for many years to come. 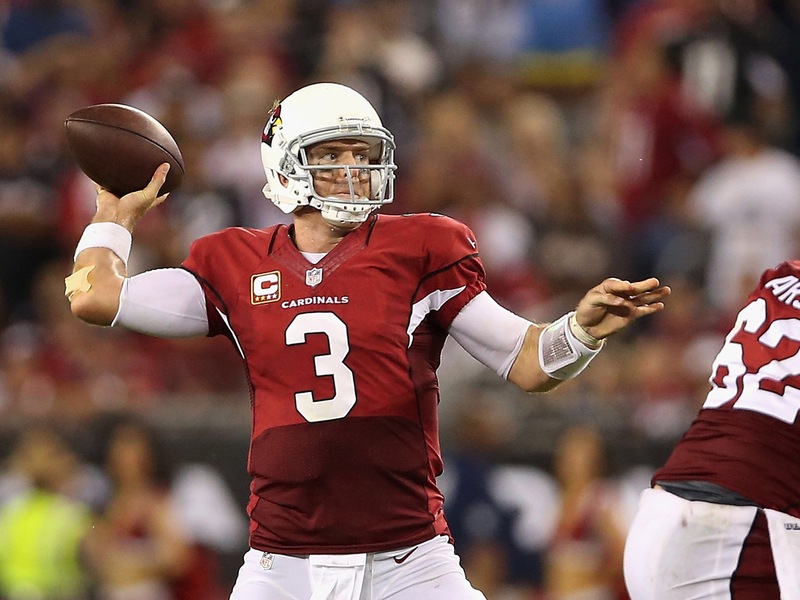 Carson struggled to stay on the field last year and the Cardinals limped into the playoffs after the strong start Carson gave them. Right now he has his team at an 8-2 record in prime position for the 2nd seed in the playoffs and the best offense in the NFL. Carson has not had a bad game all year long only 2 average games and the rest of his 8 games being astounding. Carson could be arguably having his greatest season ever this year and Arizona absolutely needed it. If you want to see the true impact Carson has on this team you only need to look at last year’s numbers compared to this year. Carson only played 6 games last year and last year’s team missing him 10 games ranked 24th in total offense, 14th in passing offense, 31st in rushing offense, and 24th in total points scored. This season so far with Carson actually able to play all 10 games the Cardinals rank 1st in total offense, 4th in passing offense, 10th in rushing offense, and 2nd in points per game. This year Palmer ranks 5th in passing yards per game, 1st in passing TDs, 2nd in passer rating, and 16th in completion percentage. Carson has this team in the driver’s seat to make some noise deep in the playoffs while being the spearhead of the most deadly offense in the league. My MVP Rankings and Why They Are Where They Are. Cam Newton this year has been extremely valuable to a putrid offense but has been saved by top 3 defense this year. He is the only person out of any of these 4 players who has been able to have multiple bad games and get away with it because his team’s defense so far this year has always found a way to come out on top. I am a huge fan of Cam, but to ignore all of that is denying facts. He just has not been on the same level as the other guys here and has been able to get away with bad performances and still somehow be on everyone’s top 2 MVP list. So far this year Cam has 7 games throwing under 60%, 2 games completing less than 50%, 2 games with more INTs than TDs, and has only eclipsed 300 total yards once this year. Andy Dalton has completely floored me with his play this year and instead of being the turnover machine he has been his whole career somehow has changed into this efficient machine for his team. He had 2 awful games one of which he got away with due to the state of the Steelers at the time. While I do see a huge gap between him and Newton and the man I have above him, he does deserve 3rd place considerations by everyone. Carson not only has shown us how important he is to his team but is having arguably the best season of his career. Last year it was painful to the Cardinals play and this year it has become a blast. This team is winning games convincingly and Carson is the reason for it as we have seen all year long. Who would have thought 3 years ago that a 36 year old Carson Palmer had a chance at being in an MVP race much less 2nd? If the man above him can falter even a little bit Carson has a chance at winning it. Brady has just been on another level this year and it looks like there is nobody who will stop him from reaching the Super Bowl again. He’s putting up historic numbers, playing extremely efficient, and doing this while having a patchwork offensive line. Even though there has to be a 2nd place I do not have any doubt that if the season ended today Brady would receive 100% of the first place votes. Feel free to sound off in the comments of your own opinions. We are less than 20 games into the 2015-2016 NBA season and people are already changing their MVP picks. It seems this year people counted out Stephen Curry and the Golden State Warriors a little too early. The Warriors are now 13-0, and Steph Curry is still lighting it up from downtown. However, is it too early to say that he is this year’s MVP? These are some great, MVP level, numbers so I understand why many people are amazed by the way Stephen Curry is playing. Nevertheless, the bottom line is he has played 13 games so far. The Golden State Warriors have played 13 games of 82. An NBA season is a marathon not a sprint. So do not be over excited about the way Golden Sate Warriors are playing now because it will not be easy to keep this up for the rest of the season. Don’t get me wrong, the Golden State Warriors are an incredible team and before the season started I had them as the 2nd seed in the playoffs under the San Antonio Spurs (and over the Los Angeles Clippers), however in my opinion it is still too early to say that Golden State Warriors are definitely going to the NBA Finals again, or that Steph Curry will undoubtedly be this year’s MVP and Final’s MVP, or say that the Golden State Warriors will go 72-10 (blasphemy). However, if they can keep this level of intensity up and the rest of NBA does not make adjustments then Warriors will be the team to beat in the post season. Now I’m sure most of us tuned in to the Golden State games, especially their two games against the Clippers. The way the NBA is played today has dramatically changed from even just a few years ago. The simple fact is that the Warriors play it the best now, they have perfected the game. Now before the Warriors caused hype, the team that played the game the best to me was undoubtedly the Spurs, however since the Spurs key pieces are not what they used to be, the Warriors are in the spotlight. Let’s see if this team can pull it off down the stretch of the season and who knows may be they can go 72-10 (I doubt it), but if there was ever a team that can possibly achieve this feat it would be team like the Warriors, who don’t get tired from consistent banging on offense, primarily shoot outside shoots well, and play great team defense. The 1996 Bulls played differently, sure they shot at a good percentage, but those shoots were inside and they faced the wear-and-tear of driving into the lane or banging in the post that teams now do not have to deal with as much, which gives the Warriors a slight edge. However, 72-10 seems a little far-fetched. Share your opinions on Steph Curry and the Golden State Warriors in the comment section.